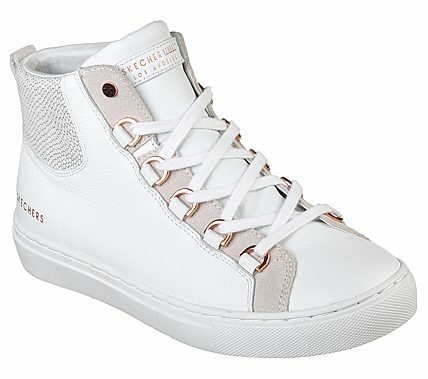 High fashion sneaker style comes with raised levels of comfort in the SKECHERS Side Street - Core-Set Hi shoe. Smooth leather and soft suede upper in a lace up classic-style high top fashion sneaker with stitching and overlay accents. Metallic distressed collar trim, Rise Fit hidden wedge comfort insole.